Four weeks since launch, and Noho Sound has just received its first trade-in, and it's a stunner. If Chris and I didn't already have big gear at home, we'd buy these for ourselves. 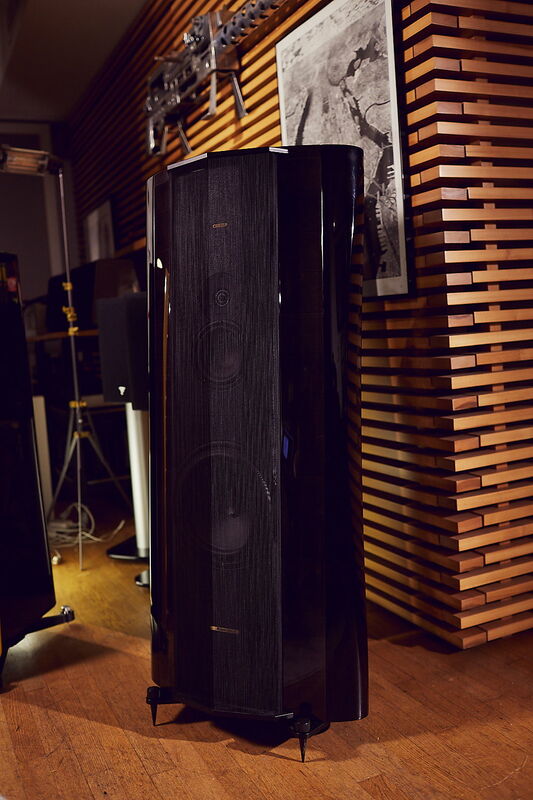 The Sonus Faber Elipsa SE's are the recently discontinued bridge between their hi-end and ultra hi-end products. Originally $22,900, we are offering them used, in mint condition with boxes, for $10,000 + tax/shipping from NYC. Want to hear them? Call or e-mail us for an appointment in lower Manhattan. "I am of the belief that life’s too short to have ugly speakers in your living room. As it turns out, I am not alone. In an informal poll, the Elipsa SEs have the highest spousal-acceptance factor of any speaker we’ve ever reviewed, as well as the highest interest among non-audiophiles of either gender." "If you want a perfect fusion of acoustic purity and aesthetic beauty, these are the speakers you’ve been waiting for." "Many audio pundits cling to the philosophy that the source is everything in a system, and that is sound advice. However, I find the speakers to be the biggest variable in a system—they have to integrate with your room and those you share it with, so they are often the highest hurdle to jump. These speakers are so easy to drive, you would have little trouble starting your journey with modestly priced amplification and avail yourself to a new experience as your budget permits system upgrades."